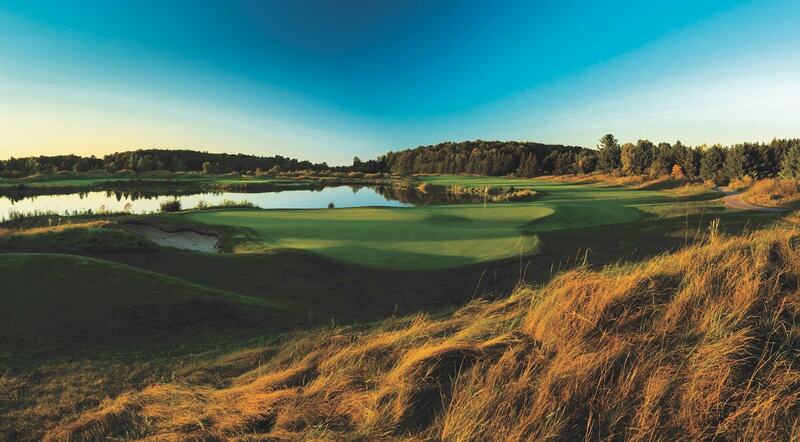 “Going green” isn’t just a catchphrase at Grand Traverse Resort and Spa. It’s a company practice that touches every department, from housekeeping to golf to engineering. In August 2010, the resort introduced an Environmental Management System (EMS) to minimize environmental impacts on the 900-acre property. One of the first goals was to reduce the amount of solid waste going into landfills by 10 percent, so the resort partnered with Bay Area Recycling for Charities to compost food waste and recycle items other major trash haulers wouldn’t accept. In less than a year, the resort was able to beat the 10 percent goal and decrease the waste stream by an astounding 40 percent. But the resort’s dedication to protecting the environment doesn’t stop—or even start—there. For more than 10 years, the resort’s Green Committee has encouraged employees to serve as community role models by participating in local initiatives, promoting eco-stewardship amongst coworkers, and implementing programs within the resort. 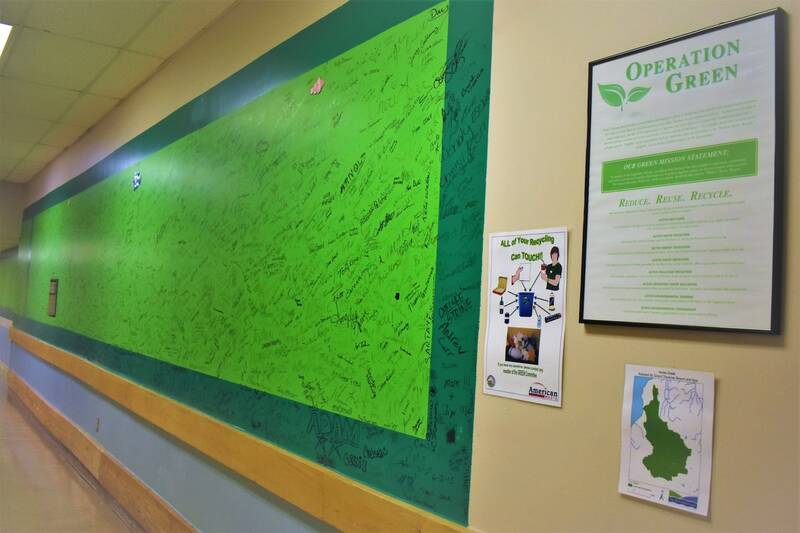 In the past decade, the Green Committee has helped spearhead numerous efforts around the resort using green-certified cleaning products and participating in Adopt a Highway (US 31), Adopt a Stream (Acme Creek), and Adopt a Beach (Bayside Park and Resort beaches). They also host a week-long celebration leading up to Earth Day and sponsor a recycled art contest in November in honor of America Recycles Day. Recently, the Green Committee partnered with TerraCycle, a company branded as “a global leader in recycling hard-to-recycle materials.” Empty toiletry products—shampoo, conditioner, and body wash bottles—are sent from the resort to TerraCycle throughout the year. TerraCycle offers one penny for each bottle, and twice a year the resort cashes out the earnings and donates to a local nonprofit. 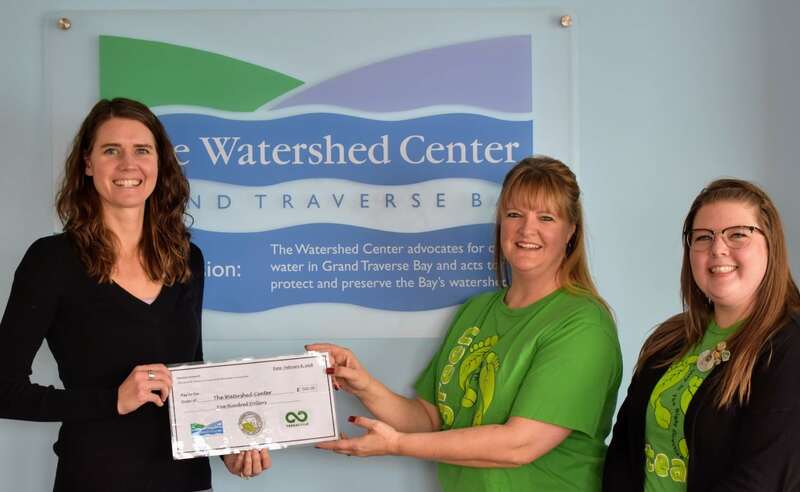 Donations have been made to Bay Area Recycling for Charities, the TART Trail, and others, including a January 2018 donation to the Watershed Center Grand Traverse Bay. The Green Committee isn’t the only group making serious strides toward a greener resort. Numerous resort dining venues use an on-property herb garden, to-go coffee cups from the popular Marketplace café are recyclable, and major appliance and utility updates have allowed the entire property to be more energy efficient. For example, in 2016, the resort replaced an aging boiler with a Micro CHP (Combined Heat and Power) unit, which has an engine that runs on natural gas to generate electricity with useful heat—clean hot water—as a by-product of cooling the engine. The Micro CHP is estimated to save up to $20,000 in electric energy each year and received an EPA certificate of approval for commercial emission standards. Step outside, and the green story continues. With beachfront, wetlands, forests, and open field and scrub brush areas on the property, the opportunity to protect and preserve is limitless. Due to ongoing efforts to maintain the integrity of the surrounding area, the Golf and Grounds team has been certified as a Michigan Turfgrass Environmental Steward. The resort has also been lauded by the Environmental Institute for Golf for retrofitting maintenance equipment with recycled catalytic converters. With several environmental milestones behind and many still ahead, the resort is looking forward to what’s next in achieving its eco-hospitality goals.